Instagram has hit a major milestone with 400 million users. That’s actually 80 million more users than Twitter has. They’ve got shiny new advertising features that are attracting a lot of attention, and a lot of marketers. 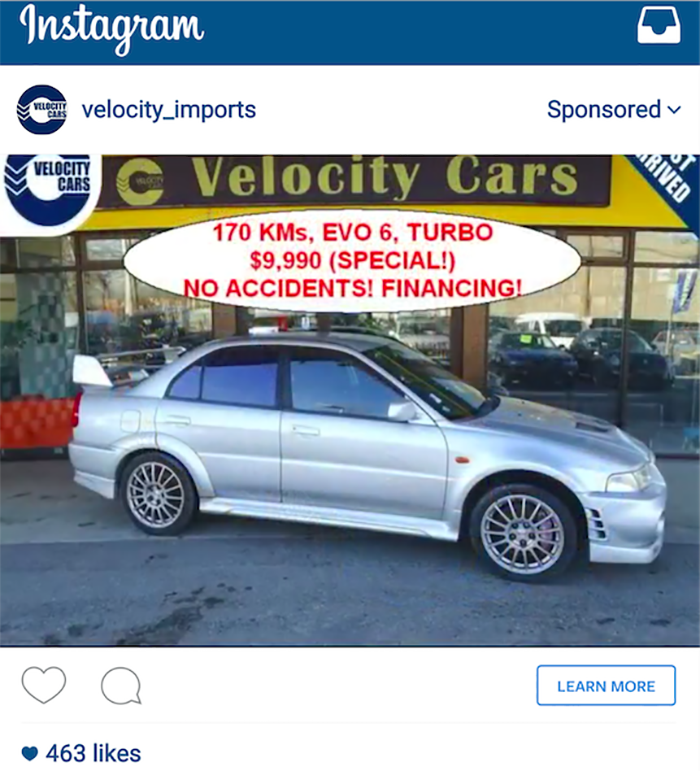 My own Instagram feed is filled with ads these days. Some of them I’m interested in, others get ignored. 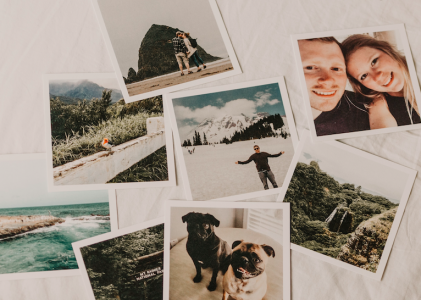 But there’s a great opportunity here for marketers and advertisers who are able to take advantage of the many features offered by Instagram. Not all advertisers are doing a great job. And that’s a drag, because it means that all they’re doing is spending money on clicks that will not convert into sales. 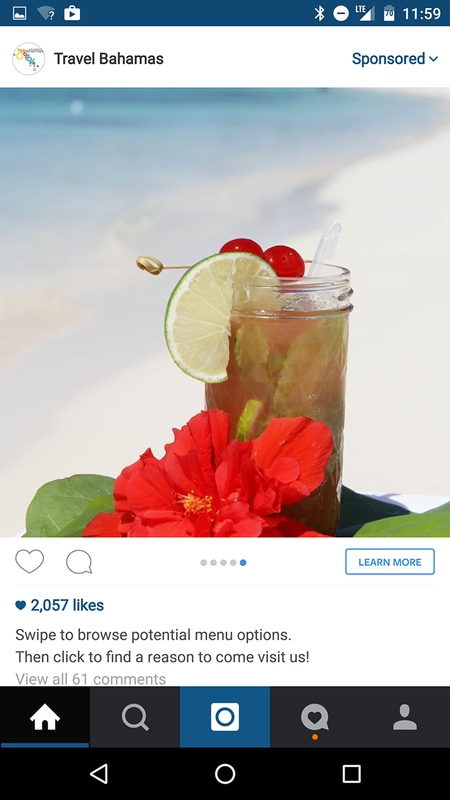 Let’s look at a few of the ways that advertisers are failing on Instagram, and how you can avoid these pitfalls. This is a really good ad (see it below). Even before I had the idea to write this post, I clicked on this ad, just because it’s so enticing. 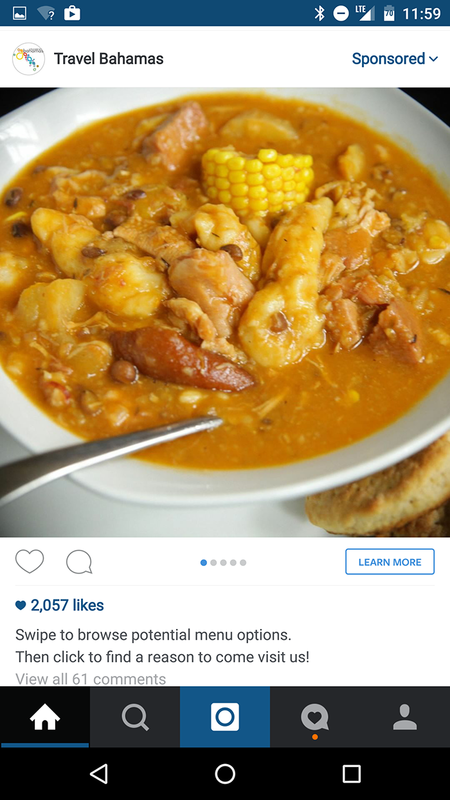 The advertisers have taken advantage of Instagram’s carousel option, and the ad presents some incredibly appealing shots of things you might eat while staying in The Bahamas. The images are attention-getting, eye-catching masterpieces of stellar advertising photography. Check out a few of the images from the carousel below. 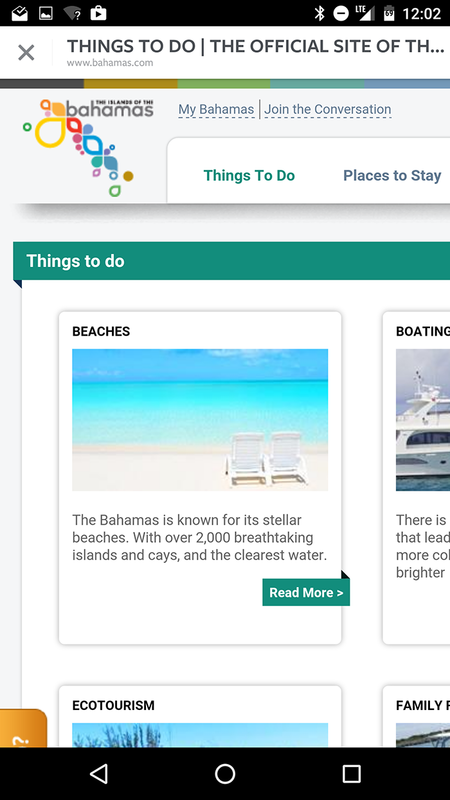 Well, you’ve convinced me to find out more about travelling to The Bahamas. Now, please, tell me more! Oh. Crap. Well, this should put a stop to any interest that anyone at all has in pursuing this as vacation option. Here’s why. Mobile users are five times more likely to abandon a site if it’s not optimized for mobile. Let’s face it. Anyone who is spending time on Instagram is someone who is looking to consume content. It’s a pretty serious thing to consider, especially for the travel industry. 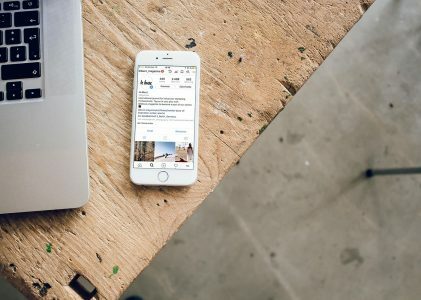 We’ve seen huge growth in travel bookings via mobile, and one study suggests that by next year around 30% of travel bookings will be done via a mobile device. 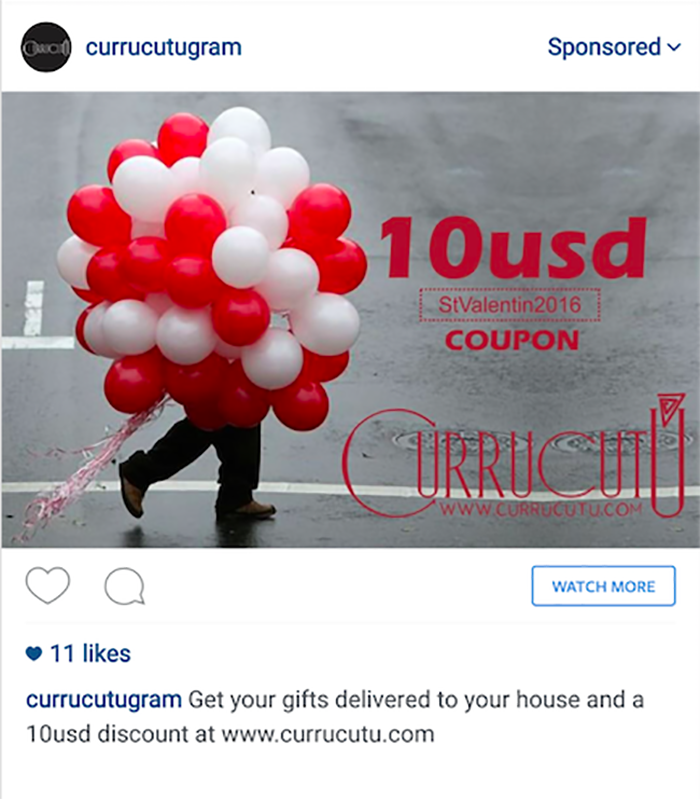 There is a lot to love about this Instagram ad, but little to love in terms of execution. Taking advantage of Instagram’s clever CTA buttons on this ad will most likely result in massive spend that is likely to result in people searching for other travel options. This isn’t the greatest ad I’ve ever seen on Instagram. In fact, it’s a bit tacky. But they’re taking advantage of the carousel, as well, and if the advertiser has used demographic targeting correctly, they may at least get the eyes they want to see on the ad you see on the image below. I just bought a car, so I was actually a little bit interested in what might be going on here. I do love a way to experience as much buyer’s remorse as possible. So I clicked on the CTA button to Learn More, and ended up here. It very well may be that this advertisement is meant to attract visitors all over Canada, but once I got to the page and saw “Vancouver” right up at the top, I was done. It’s all the way on the other side of the country, and unless you’re selling me an Audi for $100, I’m done on this page. I’m not spending five days driving across the country to get home in my new car. Instagram has exactly the same geotargeting features that Facebook has. In fact, you have to go through Facebook’s advertising platform to launch your ads. Either make sure that you’re using those geotargeting features correctly, or don’t put the name of a city that’s literally as far away from me as Tangiers in the meta title of your landing page. If you do, I’m Audi. The image below is from a video ad that shows a guy walking with some colorful balloons that caught my eye right away. I’m not incredibly interested in this product, but it did stand out, that’s for sure. One of the things that turned me off about this ad was the poorly executed copy. “10usd” could easily be “$10USD” for clarity. It could be that they’re A/B testing copy that looks good against copy that doesn’t. Or they could be testing not using the dollar sign to see if it’s more attractive. Either way, the experience didn’t really do much for me when I clicked the “Watch More” link on the ad, as you see below. Oh dear, oh dear, oh dear. Either someone has entered the wrong URL into that ad (why was it approved?) or they have forgotten to pay for their hosting fees and the page is no longer there. Whatever it is that happened, someone is paying for Instagram ads that are directing to a parked page on GoDaddy. Maybe someone will buy the page and let someone else pay for the advertising to get people there. Here’s one that might do a good job of preventing people from clicking, which would actually prevent this advertiser from having to spend money on their Instagram ads. The spelling on the ad below is making me feel uncoNfortable (see what I did there?). What’s most amazing to me is that this ad actually managed to get 173 Likes and not one grammar nerd has pointed out the spelling mistake. Seriously, guys. Take a minute to proofread your ads. It’ll go a long way towards giving your audience a reason to click. And with a fairly decent landing page experience after the click, this one has an actual chance of converting once they get it sorted out. That’s really not a lot to ask from advertisers. 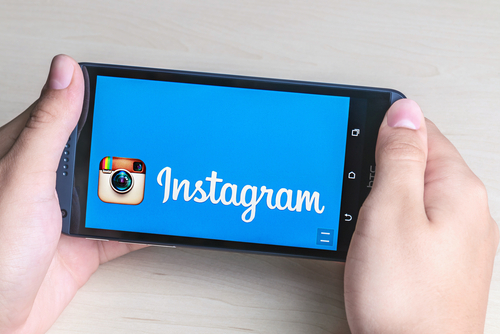 There’s a great opportunity to reach audiences on Instagram. A lot of gaming companies are doing a really great job, as are movie advertisers. No matter what you’re hawking, your audience is probably out there. 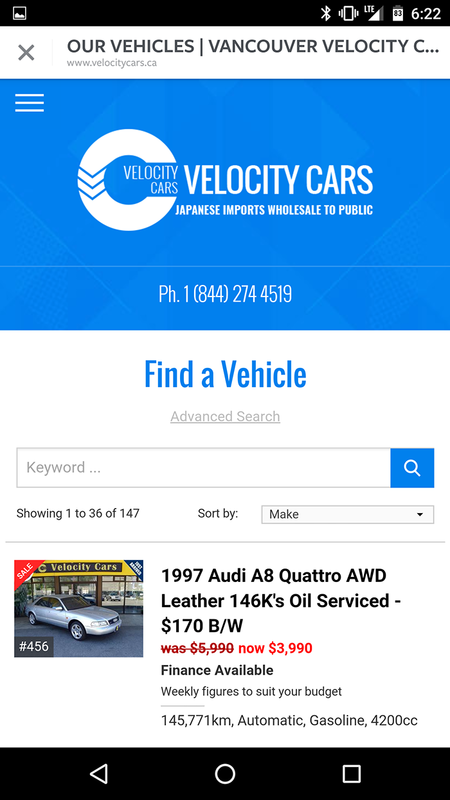 You just have to make sure that you’re providing a great mobile experience for those people, from the ad all the way to the sale. 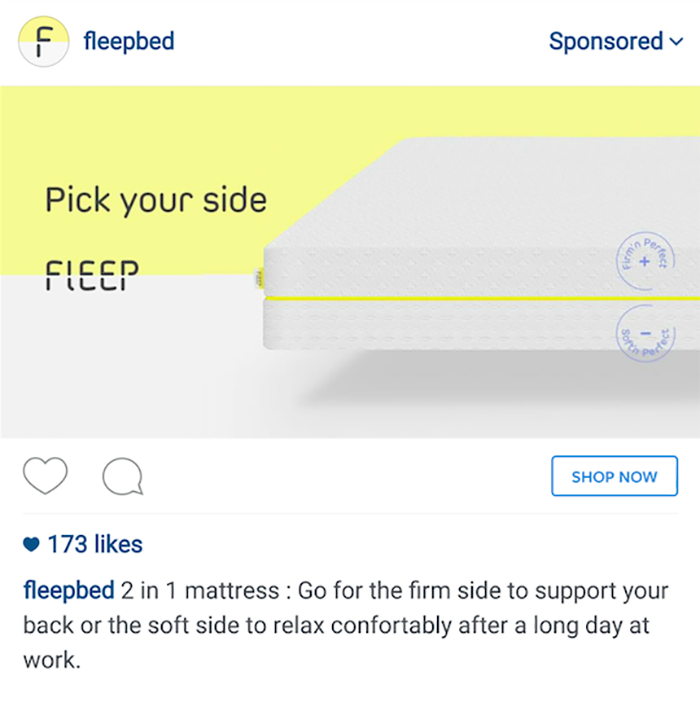 Have you seen any great advertising experiences on Instagram? Tell us about them in the comments below.